What is a leader? Is it just a word? Do we really know what it means? – Gould Design, Inc. Leadership is not a title on a business card. Great leadership is about influencing people at all levels. Whether you are the floor sweeper or the president of the company, you have the power to influence and make people around you better. A leader is an innovator, a visionary, who never settles for second best. Leaders assign tasks to their team members, who accept ownership over them, contribute to their development. 1a: a position as a leader of a group, organization, etc. What does it really mean? Simply put: Influence. Effective leaders communicate well, which motivates all those around them. Leaders have a vision that is translated into a procedure. The procedure then empowers the teams to perform. All of this builds trust between them, further strengthening their relationship. 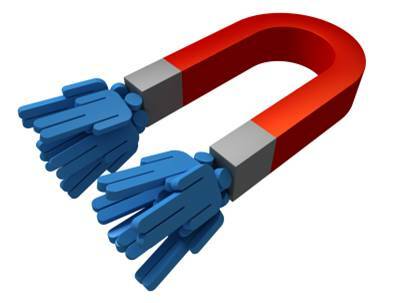 Leaders attract followers like a magnet. Leadership relies heavily on perception. How does your team perceive your leadership skills? Have you taken a survey of your team? Have you asked the tough questions, fearlessly searching for the truth? How is your influence perceived? A business that takes no regular inventory, soon loses count of stocked items. Items become stale, expired. Why should a human be any different? Are you willing to take inventory of your leadership skills with those you lead? Will the truth be welcomed? Can you honestly say that there is no room for improvement? Does your team believe that you want to hear their ideas? More importantly, do they believe that you will value their ideas? A true leader provides opportunities to help others advance to their potential, to better the team, taking them to a higher level. A leader has a level of humility (not ego) that everyone can recognize. The leader’s #1 priority is to be a salesman! That’s right, salesman in the sense of developing and fostering relationships with team members. By demonstrating trust, you gain trust. By emulating the behaviors in ourselves, that we expect from the team, we are most likely to get a similar performance. The end result of practicing leadership skills is that everyone wins. What are you waiting for?